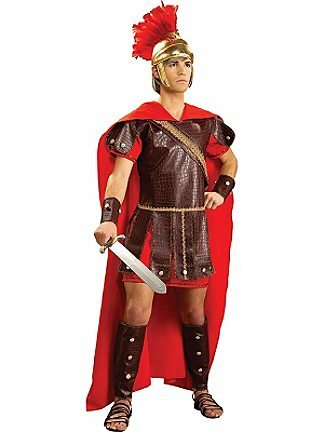 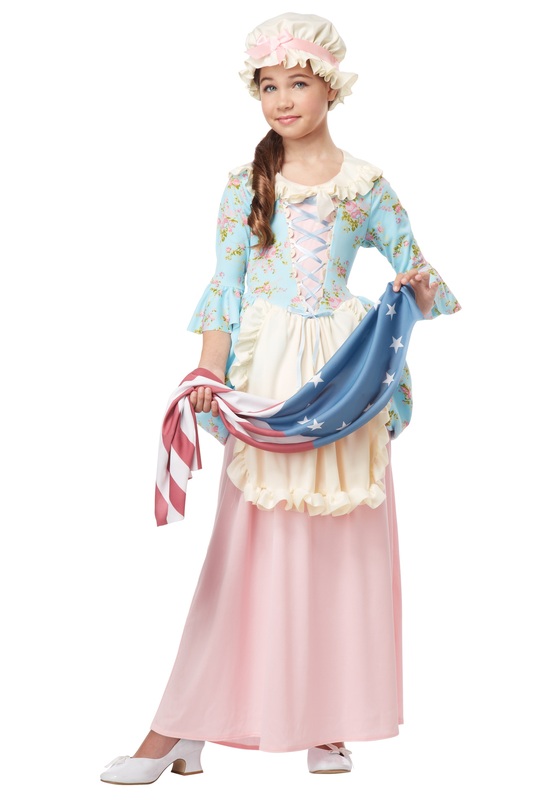 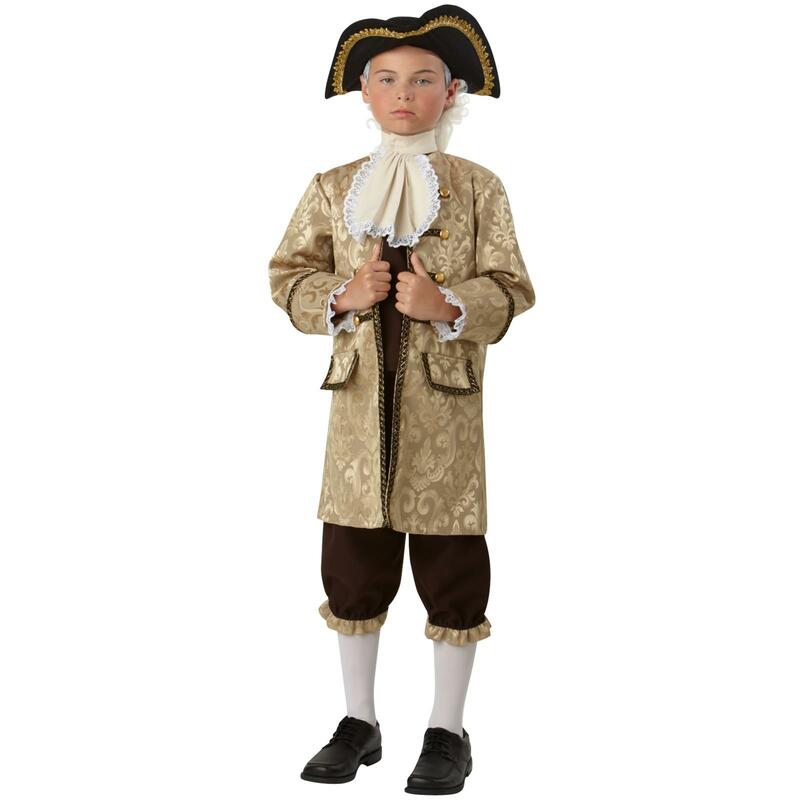 Colonial costumes date back to that age when the British, French and the Portugal Empire used to colonize a country and establish their political power. 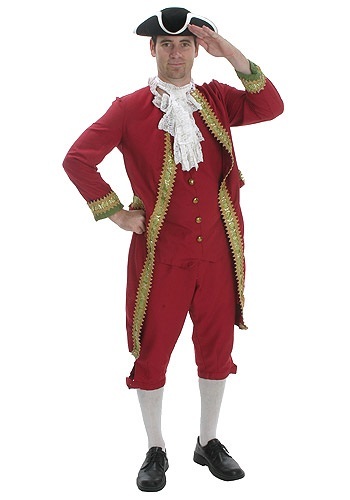 The colonial rulers, as well as the people, used to wear the very specific type of clothing to display their hierarchy or ranking. 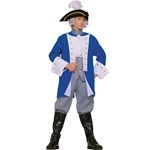 It included a triangular hat or curly big white wig which goes with a jacket, trousers, and short or long boots. 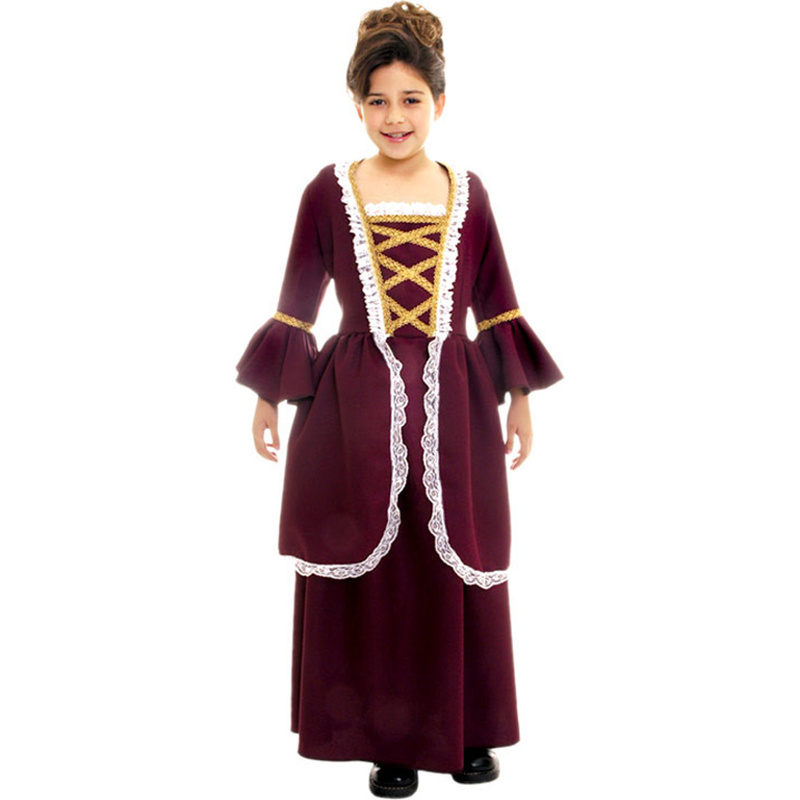 Outifts for women include an authentic long blouse accented by the black bow ties out front along with peplus lace trim in the neck. 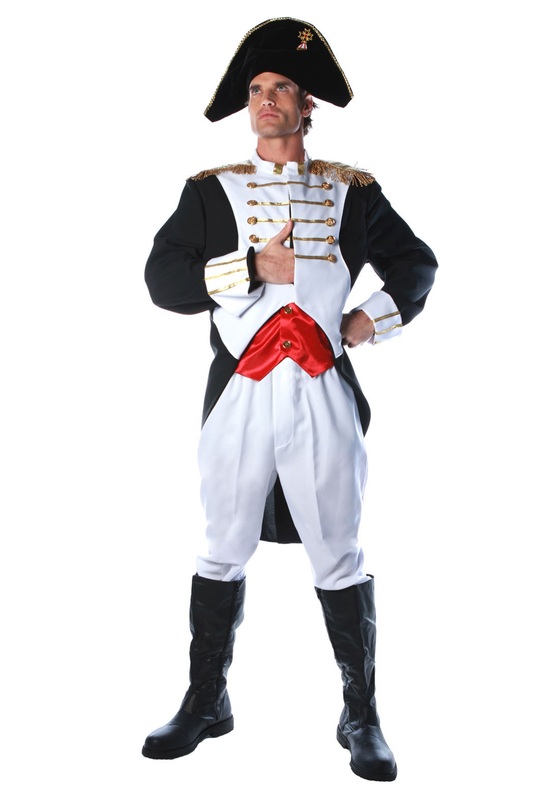 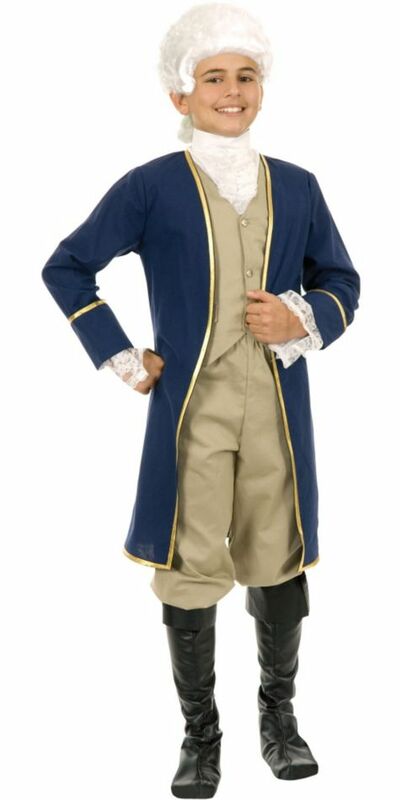 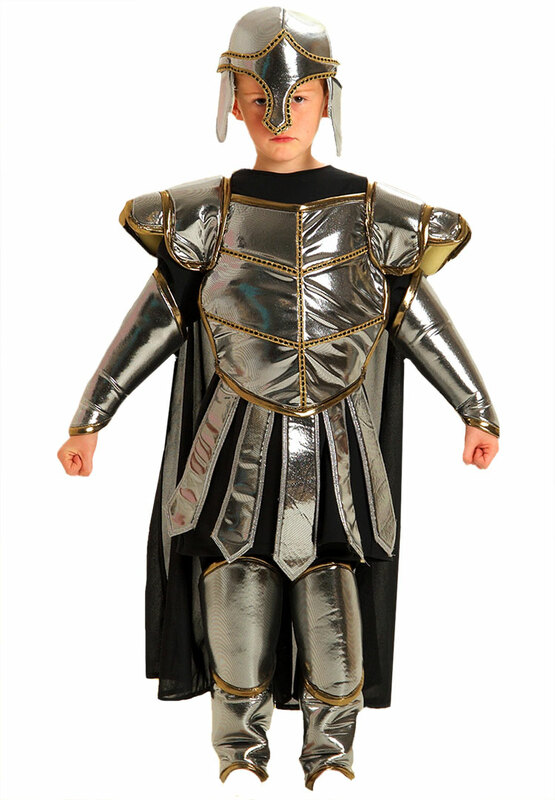 Available for kids and grownups, a Rapier gun is needed to complete the getup for males.